ANIMAL KINGDOM: The TV Series | Birth.Movies.Death. Showtime is adapting the Aussie crime film into a series. 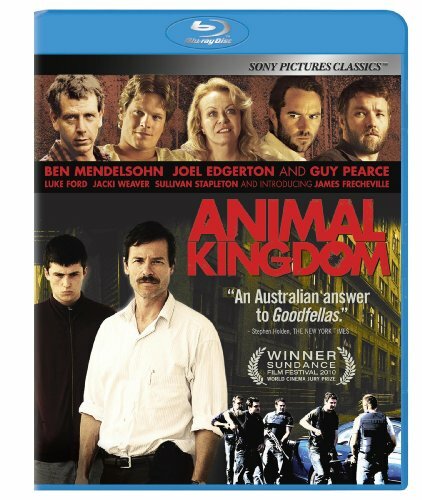 This is a great idea: Showtime is adapting Animal Kingdom, the knockout Australian crime film about a bank heisting family, into a TV series. While the film, directed by David Michod, was really about the unraveling of that family, a TV show could easily be set with the same characters during their robbery heyday. Of course one of the things that really made the movie truly spectacular was the performance by Jacki Weaver as the seemingly sweet matriarch of the family. Would she return for a TV show? That, of course, raises the question of whether or not Animal Kingdom the TV show would be set in Australia. Director David Michod is producing, but it's American TV titan John Wells who is the guiding force behind the show. Showtime has been trying to compete with HBO when it comes to the acclaimed TV show world, and this season their Homeland seems to have really worked. They have some more shows in development, but Animal Kingdom is the one that seems most promising - and most likely to be a real runner at HBO. In a lot of ways this show could be a lower class version of The Sopranos. If you haven't seen Animal Kingdom yet fix that ASAP. It's great.